Wider Opportunities for Women (WOW) works nationally and in its home community of Washington, DC to build pathways to economic independence for America's families, women, and girls. WOW has a distinctive history in changing the landscape of women and work. American Association of University Women AAUW contributes to a more promising future and provides a powerful voice for women and girls. American Medical Women's Association is an organization which functions at the local, national, and international level to advance women in medicine and improve women's health. We achieve this by providing and developing leadership, advocacy, education, expertise, mentoring, and through building strategic alliances. PINK Magazine represents more than a color. It´s a badge of honor celebrating a global mission of equity and opportunity - a movement acknowledging all that women are today and will be tomorrow. American Woman's Society of Certified Public Accountants (AWSCPA) is a national organization dedicated to serving all women CPAs. The AWSCPA provides a supportive environment and valuable resources for members to achieve their personal and professional goals through various opportunities including leadership, networking and education. Center for Women in Government and Civil Society is part of the Nelson A. Rockefeller College of Public Affairs and Policy, University at Albany, State University of New York. This center offers many opportunites, such as fellowships and education intiatives, for women interested in goverment. Brought to you by the "Dymanmic Cover Letters: Quintessential Career and Job Hunting Resources Guide" this site provides many links for women, minorities. Initiatives for Women Initiatives For Women (IFW) benefits women students, faculty, and staff - and the University at Albany and our community as a whole - by providing them the means to advance their educational and professional goals. Women in Business and Industry Whether you're a jobseeker, woman business owner, college student seeking career advice or simply interested in exploring career opportunities for women, Women in Business and Industry's website is committed to serving your needs. Best Companies lists - Complied by Working Mother Magazine, these include best companies for working mothers overall, best women owned companies and best companies for multicultural women. Other Career resources are also available at this site. National Association of Female Executives - This website has a career and job advice page with more links. SWE is all about helping you advance. The SWE Career center can help you with all of your career search and management needs. 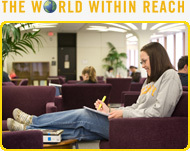 The Center features a resume database, a job bank exclusively for SWE members, and much more! This site includes a career center page. WomansWork - This site lists flexible work options for women. Tech Valley New York State Women, Inc. - The goal of NYS Women Inc.-Tech Valley is to help further the interests of women in the capital region. We plan to accomplish this goal through education, community outreach and volunteer opportunities. It is our hope that by giving our members the tools to be stronger women, they can help other women become stronger. Women for Hire - This organization runs career and networking events for women. This site also includes career advice. WomensJobList - This is a free job board for women. You can search for opportunities without registering but you can also register and post you resume.